Kids today have a lot to keep track of—and keep organized. Schoolwork, friends, activities, chores...rooms, backpacks, lockers, desks...and what about fun? 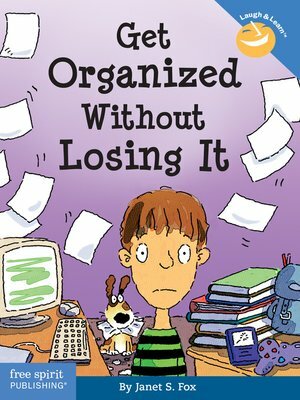 Here's friendly, practical, humorous help for kids who want to manage their tasks, their time, and their stuff—without going overboard or being totally obsessed. Tips, techniques, strategies, and examples empower kids to conquer clutter, prioritize tasks, handle homework, prepare for tests, plan projects, stop procrastinating, and start enjoying the benefits of being organized: less stress and more success. Lists and steps make it doable; jokes and cartoons make it enjoyable. Recommended for any kid who's frustrated, overwhelmed, and sick of hearing "Clean your room!" "Where's your homework?" and "You're going to be late AGAIN!"